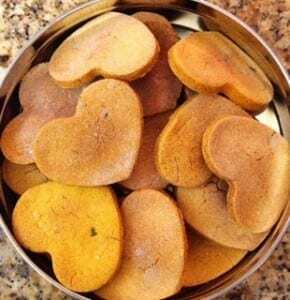 Announcing Tripawd Treats, all-natural handmade dog treats created from scratch with the finest ingredients and of course, love! 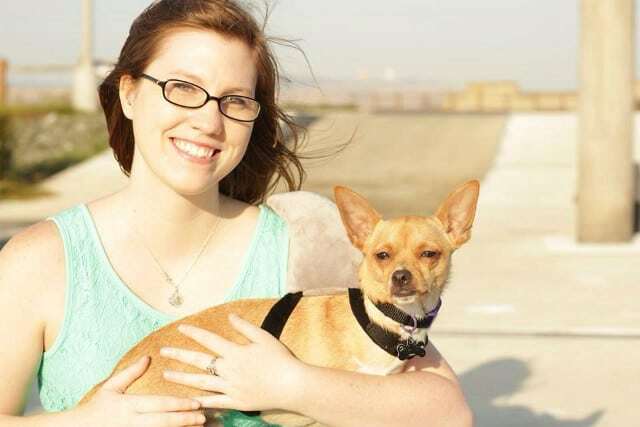 Founded by Tripawd Mom Rebecca Hoyland, Tripawd Treats creates nutritious and tasty snacks for dogs. We met Rebecca earlier this year are really impressed with her energy and enthusiasm. We know she will go far to help dogs of all kinds eat healthier for life. Here’s more about Tripawd Treats and the company’s spokesdog, Otto, as told by Rebecca from their headquarters in Sunnyvale, California. 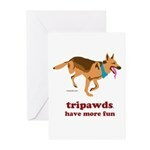 “Tripawd Treats is inspired by my fur child, Otto. We adopted Otto at the age of five months, just two months after his amputation due to a previous injury. As a dedicated Tripawd mom, I did extensive research to give him the care he deserves. I am a hard working college student employed as an associate for a Doggie Day Camp. Being with dogs on a daily basis has been highly beneficial. I took it upon myself to go further than the standard training I received. By doing so I have really helped our customers in making one of the most important decisions they can make for their pets, the food that enters their bodies. My passion for animals goes as far back as I can remember. I have been rescuing animals and finding them homes since I was a child. Being able to save lives and provide healthy treats would make me so thrilled, and lucky to turn my passion into my career. 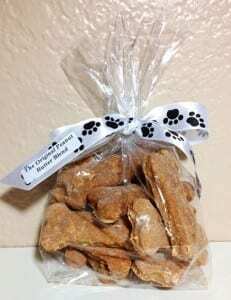 As Tripawd Treats expands, I hope to eventually sell the treats at local family owned pet stores. I am currently working on providing customers with more of a treat selection and efficient packing. My goals for Tripawd Treats are to develop a line of treats focused specifically for dogs fighting cancer and advance into making cat treats as well. Adopting Otto was a spur of the moment decision. I had no prior experience owning a dog let alone a Tripawd. Even so, I am so thankful to have Otto in our lives. He loves us unconditionally and doesn’t ask for anything in return. Otto isn’t just a dog, he is my son. Just like every other mom out there, I want him to grow up healthy. I’ve adsorbed every tip given to me to enrich Otto’s life. As much as I constantly want to help him, I struggle to remind myself to let him be a dog. If Otto needs help, he will let me know. 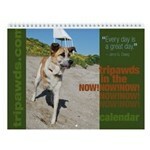 The word “Tripawd,” is a registered trademark of Tripawds.com founders Jim Nelson and Rene Agredano. 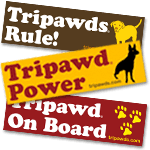 “Tripawd” is used under license. Contact us for details. Blurb Holiday Gift Guide Makes Bookmaking Easy! Good for you Rebecca! Livingin sync with your soul’s purpose is always a good thing! I can “hear and see” your enthusiasm and passion for what you do! Otto, thank you for living a life of meaning and adopting Rebecca as your mom! Meant to be, that’s for sure! Look at all the good that’s coming out as a result! Will check out your treats when I get home! Sound great! I look for any way to brag about tripawds and their parents. I just bought the pumpkin flavor to share with my work friends who have doggies at home. What a great way to honor your love for Otto by sharing healthy treats with others.